FHA Lowers Mortgage Insurance Premium by 0.25 basis points. HUD announced Monday that it is cutting its annual mortgage insurance premiums for the second time in two years. After today’s announcement of FHA Lowering FHA mortgage insurance premium to 0.60%, stock of private mortgage insurance companies Radian, MGIC, and Essent Group Limited plummeted between two to four percent. 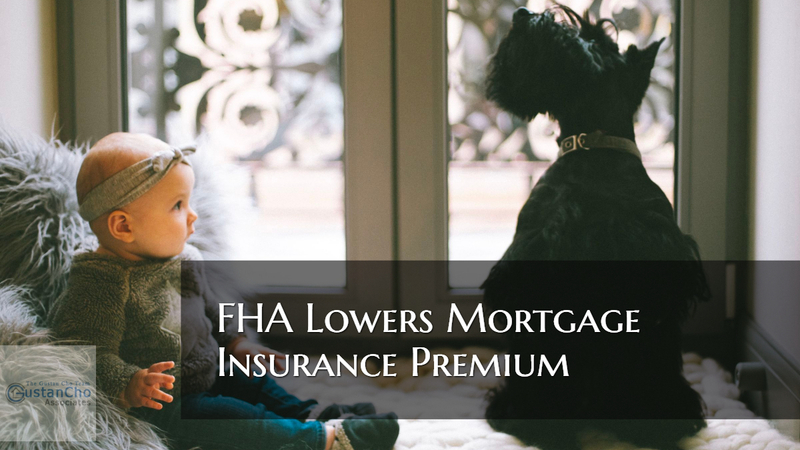 The cut of FHA mortgage insurance premium is going to take effect on January 27, 2017. Mortgage Interest Rates have sky rocketed after the election and on the news that Donald J. Trump will be our next President of the United States. FHA is not a mortgage lender. Unfortunately, the Trump Administration has raised the FHA MIP back to 0.85%. This blog was an updated blog from a previous blog written when FHA MIP dropped temporarily to 0.85%. Homeowners who want to see if they benefit and can save money with refinancing, please contact us at Gustan Cho Associates at 262-716-8151 or text us for faster response. Or email us at gcho@gustancho.com . We are available 7 days a week, evenings, weekends and holidays.